Pizza for dessert?! Yes! 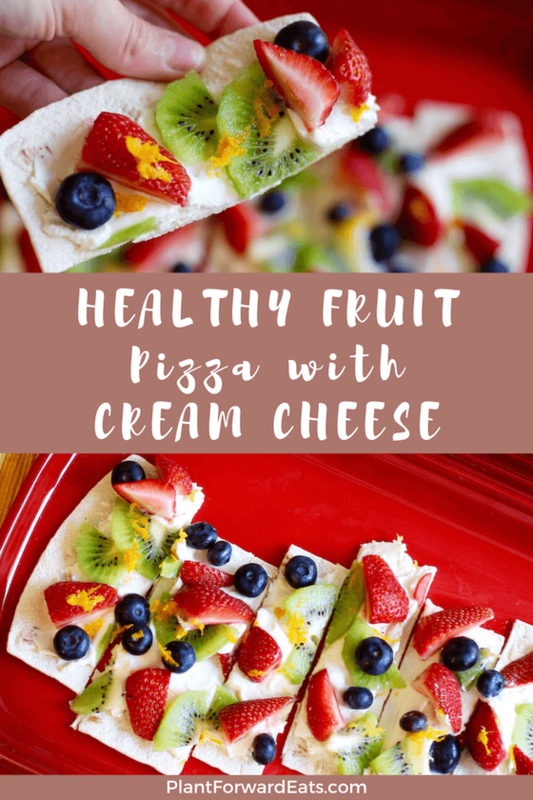 This Flatout pizza recipe is light and sweet, thanks to the whipped cream cheese and fruit toppings. Disclosure: This blog post is sponsored by Flatout. All opinions are my own, of course (and as always)! I have a gigantic sweet tooth. But as a registered dietitian, I aim to make dessert on the healthy side. So I started playing around in the kitchen to whip up a dessert pizza that also delivers a dose of nutrition. 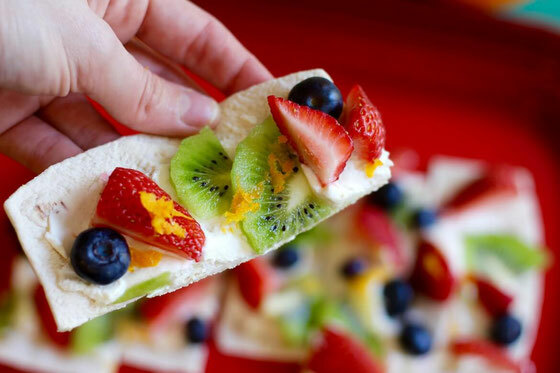 I decided to make my healthy dessert pizza using a Flatout Artisan Thin Pizza Crust. The bread is now one of three varieties of Flatout flatbreads endorsed by Weight Watchers for between 2 and 4 SmartPoints values. The others are Flatout Light flatbreads and Flatout ProteinUp CarbDown flatbreads. Each pizza crust is just 130 calories and 4 SmartPoints values—and delivers 12 percent of the daily value for satiating protein. To make the pizza, I first toasted the pizza crust in the oven to give it a nice crisp. Then I whipped up a pizza base with light whipped cream cheese, flavored with orange zest and just a little bit of honey. And then I piled on the toppings: lots of fruit (which are freebies on the Weight Watchers plan)! And there you have it: a nutritious dessert. 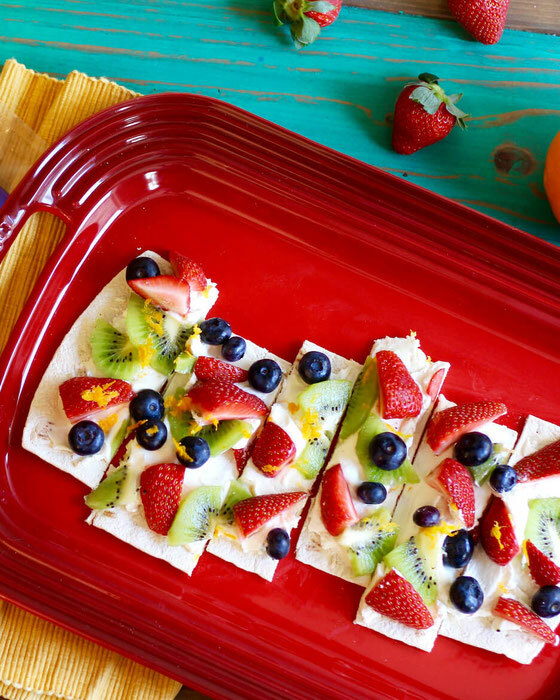 Each piece of Flatout Fruit Pizza is only 100 calories or 4 SmartPoints values. In addition to being yummy, the pizza also provides protein, which helps keep hunger at bay. 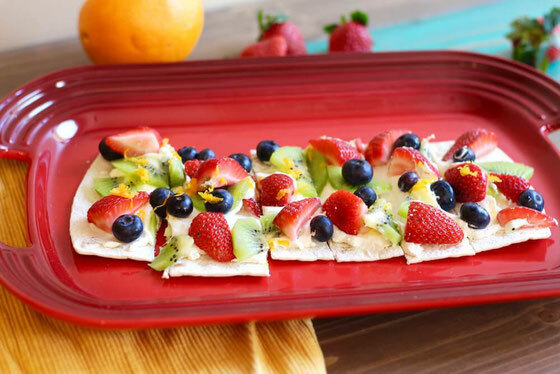 This dessert pizza took less than 15 minutes to make, so it's easy enough to whip up for dessert (I may be making this for my boyfriend and I tonight! )—yet fancy enough to serve at a party. Preheat the oven to 375 degrees Fahrenheit. Heat Flatout pizza crust on a nonstick baking sheet for 5 minutes, then cool. Meanwhile, combine cream cheese, 1/2 teaspoon orange zest, and honey in a small bowl. Use a knife to spread cream cheese mixture onto pizza crust. Then top with blueberries, and strawberry and kiwi slices. Garnish with remaining orange zest, and slice. Serves 6. What are your thoughts on this topic? What's your favorite way to cook with thin pizza crust? What do you like to put on your dessert pizzas?